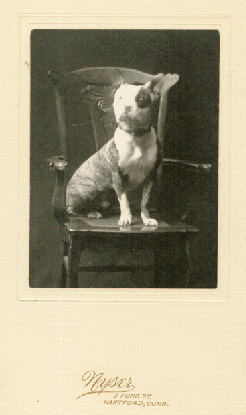 Pit Bulls were the original working dog. The beginning of the breed can be traced back to property owners selecting dogs who had a tendency toward stamina, high pain tolerance, gaminess, and loyalty towards humans. By blending terrier type dogs and bulldog type dogs the American Pit Bull Terrier became a dog that could watch the kids, alert to trespassers, assist with livestock, and kill small game. They were a true all around versatile dog valued by their owners. In recent times there has been an element of society that has taken these selected traits and used them in cruel ways. 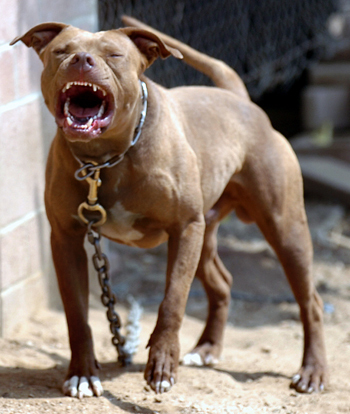 Dog fighting and irresponsible owners of these dogs has perpetuated a negative image for the Pit Bull Terrier. Because of this negative stigma Breed Specific Legislation, Landlord bias, and refusal of coverage by insurance companies has become common. Here in Springfield, MO our city government enacted BSL that requires owners to follow certain rules if they want to own a Pit Bull. http://health.springfieldmo.gov/index.aspx?NID=211 Because of the negative public image many owners fail to socialize their Pit Bull and are sometimes discouraged to join training classes. What ends up happening is that BSL promotes under socialized and undertrained dogs that have a difficult time functioning in the real world. A movement towards Vicious Dog Laws is a more practical way to deal with any dog that is poorly socialized and prone to aggression. Ultimately it is the owner’s responsibility to make sure that they have a safe dog no matter what breed the dog is. Please take the time to read the Association of Pet Dog Trainers statement on a model dog law http://www.apdt.com/about/ps/model_dog_law.aspx. This kind of law would give the public the protection they deserve from dogs that are prone to aggression and wouldn’t penalize responsible owners of an breed. The traits that the Pit Bull has make them a fun, active, useful dog for people who choose to own them responsibly. 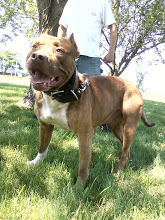 Obedience training and lots of early socialization is essential for the Pit Bull. They require a fully committed guardian who will spend time on daily exercise and training. Side Kick Dog Training does not discriminate by breed and we applaud all of the Pit Bull Ambassadors that have come through our classes and show the public what great dogs they are. Keeping your pit Bull on a chain or promoting aggressive unfriendly behavior in your Pit Bull is not responsible ownership. By keeping an aggressive dog you put your family and the public at risk for an accident to occur. at or below that average. comparable size. They work the same way any other breed’s jaws work, as well. 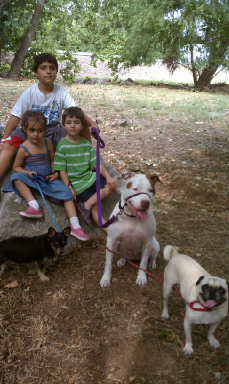 Pit Bulls were selected for their gaminess and so may have a tendency to chase wildlife or harass family cats. 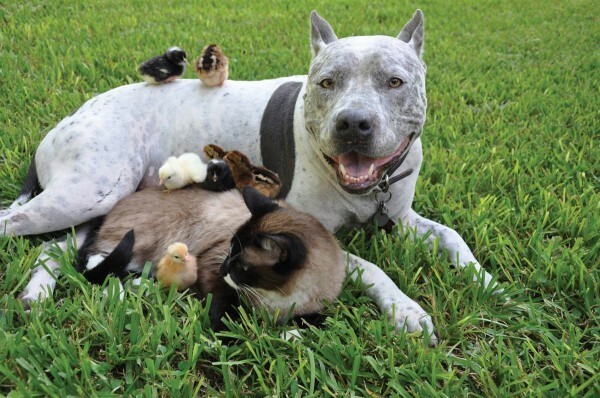 However, with the proper training and socialization many Pit Bulls are happy family members with all kinds of species. Above all lets celebrate the unique traits of the Pit Bull and promote responsible ownership of all dogs.